in the vast world of hobby gardening, some folks are best described as hobby hobby gardeners. i fully accept my inclusion in said sub-group. there is no delusion of self-sufficiency or prepping for global upheaval in my endeavors. it is just a bit of fun with the (hopeful) side-effect of helping me to hang on to some shred of sanity... hopefully. i've reminded myself of this fact on countless occasions this past week, in between thumbing through a short stack of gardening books and shuffling (and reshuffling) my packs of seeds. [aside: note how crazy sunshiney it was today yesterday (as it is now well after midnight)]. the seeds were purchased from Greta's Organic Gardens. 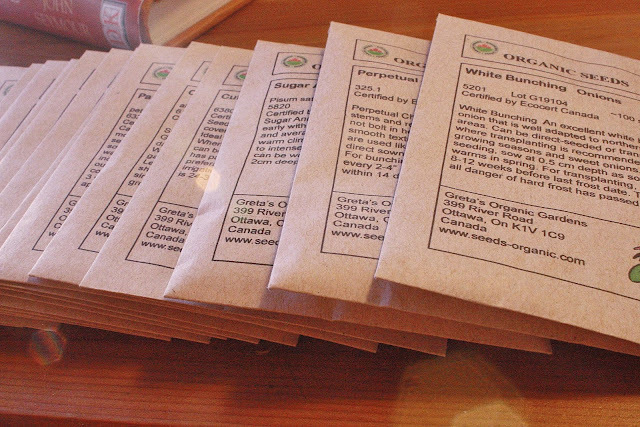 i'm not going to pull out a soap-box about organic/non-organic plants, but i generally prefer to purchase seeds from organic suppliers as they stock more heirloom varieties (i.e., not the same peppers and tomatoes you can find in the vegetable section of your local market). beyond that, i wanted a supplier that was close to home. all of my past gardening adventures took place back home in Brooklyn, so i am experiencing something like despair at the thought of trying to grow anything in the strict confines of a Canadian Summer. this particular business is located in Gloucester, Ontario—a mere stone's throw from Montreal—so i figure, if they can grow it, so can i... hopefully. 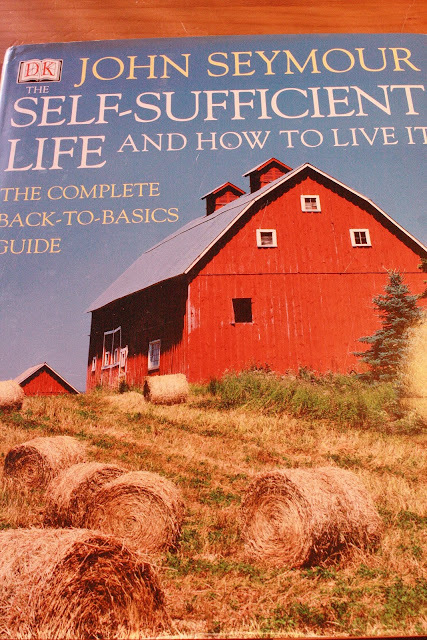 The Self-Sufficient Life And How To Live It is a gateway drug to the world of hobby farming. there is a more recent version of this book, but i have the original one. this book provides outstanding information for managing anything from a large backyard plot to several acres of farm land. be forewarned, you may feel an overwhelming urge to get back to the land after a few pages, so approach this one with extreme caution. 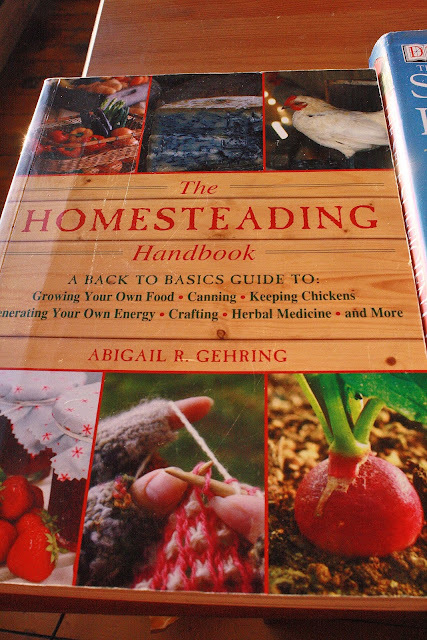 The Homesteading Handbook may be a more approachable (and more useful) resource for us city dwellers with country dreams. it has a lot of the usual information about planning and managing a small farm, but it has tons of information about making use of the bounty. even if your homesteading activities are limited to planting a few tomatoes in the backyard, you will find lots of recipes and instructions on how to process and preserve your harvest for later use. there are even recipes for making your own beer, wine, and an assortment of cheeses. seriously... you really need to be making your own blue cheese. stop reading and go buy this book! The Guide to Canadian Vegetable Gardening is self-explanatory. 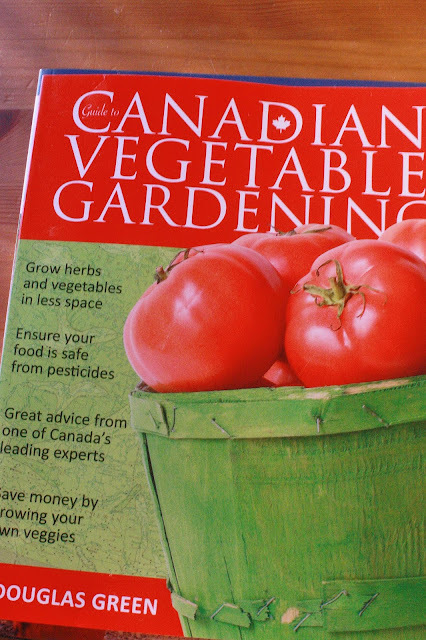 it is relatively lite on content, but it is a useful resource for the specific conditions faced by the Canadian gardener. 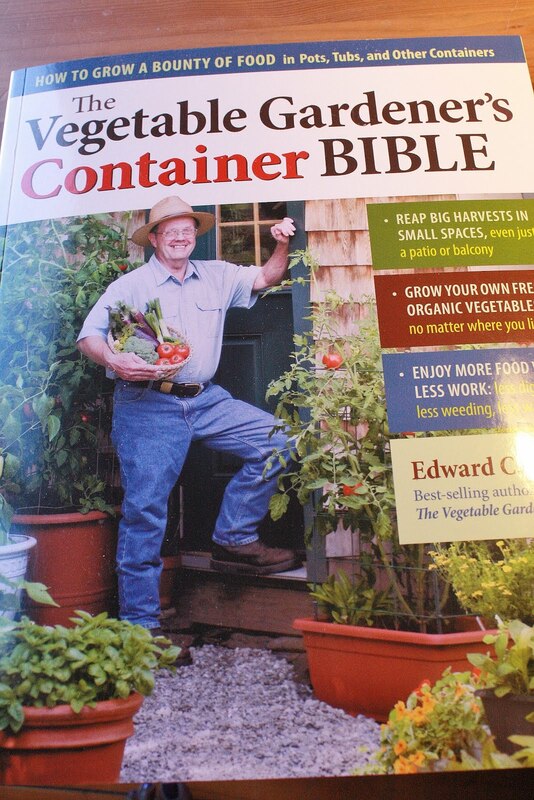 The Vegetable Gardener's Container Bible is the cherry (tomato) on the cake of happiness. not only is this book full of incredible information and tips for growing just about anything in containers, it is overflowing with photos of the author's plants that are beyond inspiring to the urban gardener. 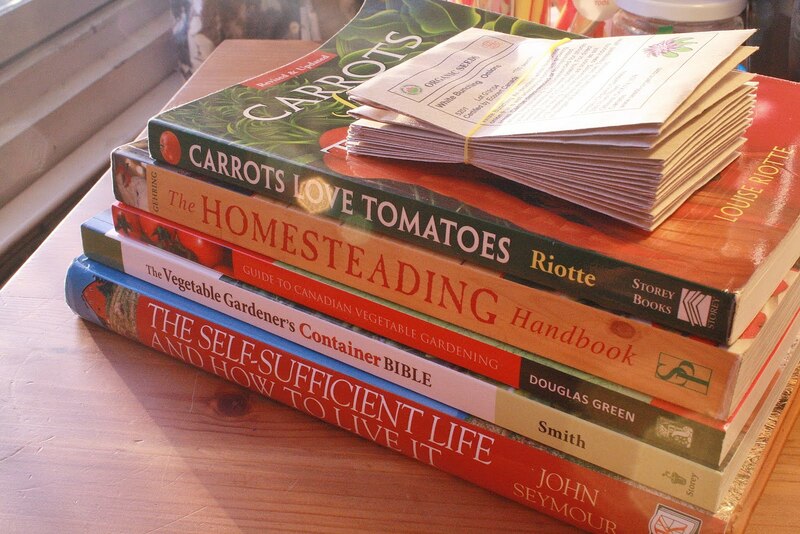 and, finally, i highly-recommend two resources that should be in the library of any home gardener: Carrots Love Tomatoes and Square Foot Gardening (not sure where my copy is at present). 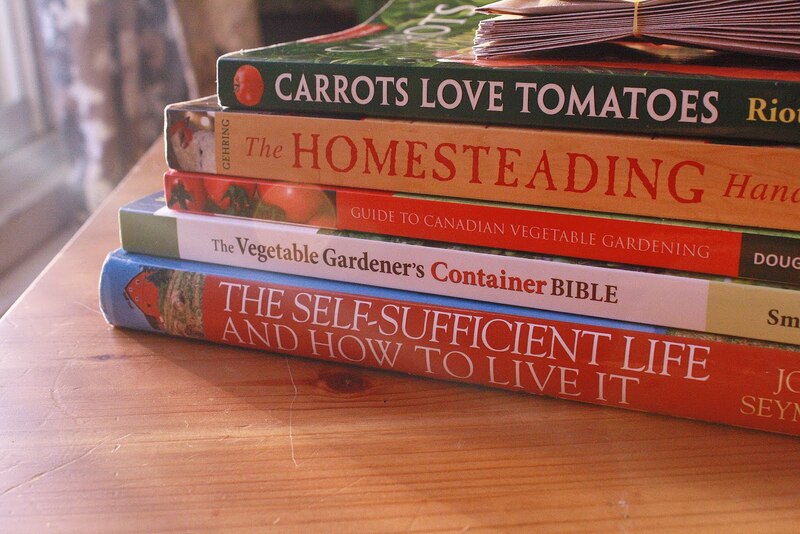 whether you are a hobby farmer or merely a collector of hobby farming dreams, happy planting.